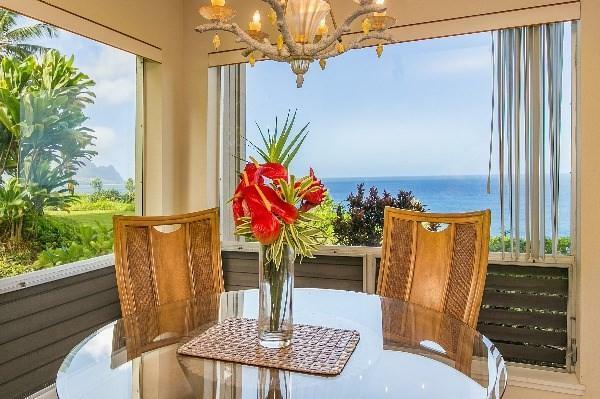 Stunning location on the Pali Ke Kua Bali Hai Sunset Ocean Bluff! This 1BR / 1BA Honeymoon Suite is located in Building 4 (Four-Plex) and overlooks white water and Bali Hai Sunset views. 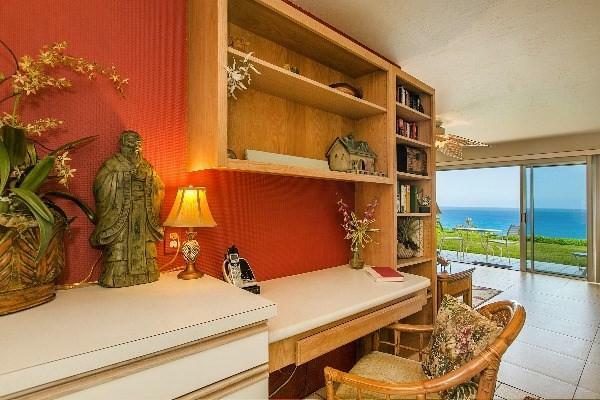 The cozy interior features built-in bookshelves and a desk in the entry, a comfortable living and dining area with incredible views. A fully upgraded kitchen with a custom display shelf, and a large bedroom with a king size bed and en-suite bath. 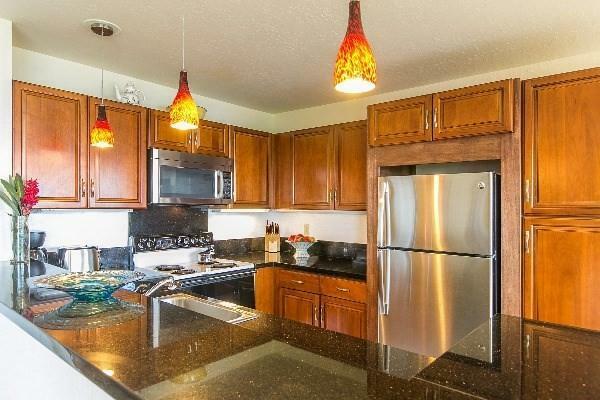 This condominium is currently used as a vacation rental and is sold turn-key! Spectacular sunsets in the summer and dramatic surf and whale watching in the winter season! A true piece of paradise! Swimming pool, hot tub, and a new, exciting restaurant on site. 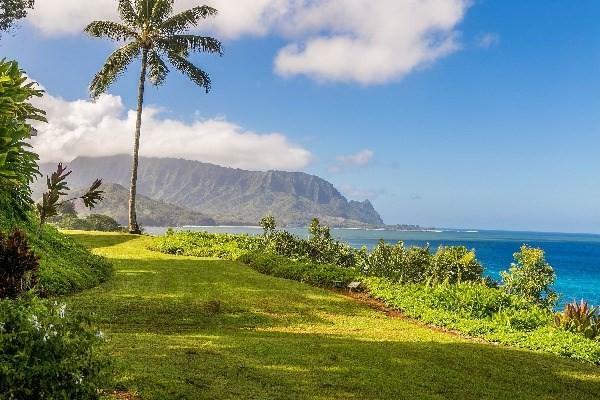 On property there is also a private, paved path that leads to one of the best snorkeling beaches on Kauai! Current vacation rentals need to be honored by buyer.Seller is licensed agent.